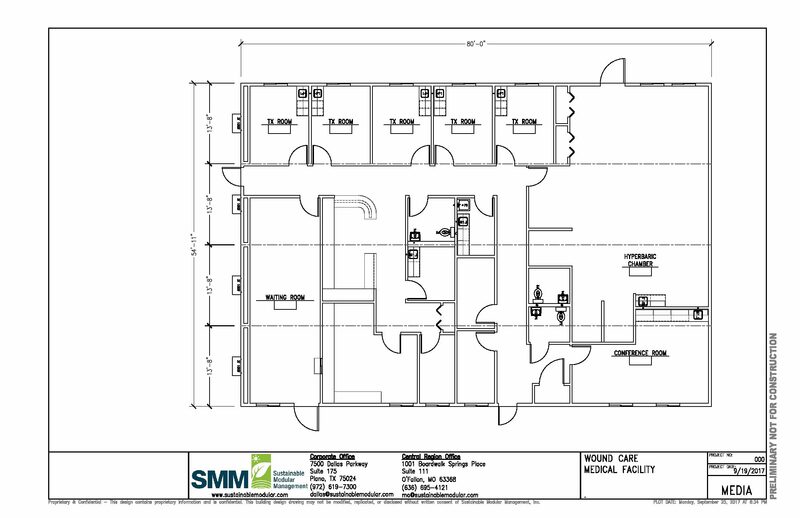 Wound Care Clinic | Sustainable Modular Management Inc.
56’ x 80’ Wound Care Clinic is designed specifically to provide specialized treatment for chronic or non-healing wounds. The modular medical facility houses four hyperbaric chambers which are vital in the treatment of chronic or non-healing wounds. The building also has offices, treatment rooms, nurse’s station, conference room, patient and staff restrooms and a large waiting room combined with a reception area.